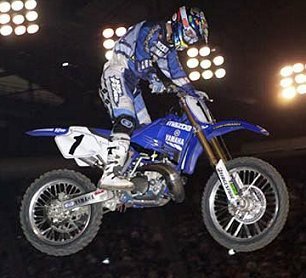 This weekend's Daytona supercross is critical for Yamaha-mounted Jeremy McGrath. 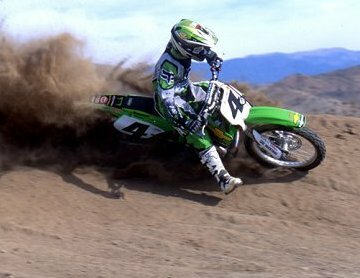 Kawasaki's Ricky Carmichael has finally started to build a decent points' cushion over McGrath in the AMA Supercross series (16 points). Carmichael is also a very heavy favorite to win the Daytona race -- an outdoor-style race he won last year. In the supercross series, a 25 point lead creates a huge psychological advantage. First place in a supercross race is worth 25 points. Once a rider realizes he can DNF a race, and still maintain the championship series lead, he can really relax and ride smooth. Daytona is a race where McGrath could easily finish off the podium. No longer a dominant outdoor rider (McGrath doesn't ride the outdoor series anymore), McGrath will be pushed hard, not only by Carmichael, but by others, including the Hondas of Mike LaRocco and Sebastien Tortelli. The pressure is definitely on the seven-time supercross champ to keep the points' race close. If Carmichael grabs a lot of points over McGrath this weekend, Carmichael will be in the driver's seat for the championship. If, on the other hand, McGrath can beat Carmichael at Daytona, Carmichael can't relax.